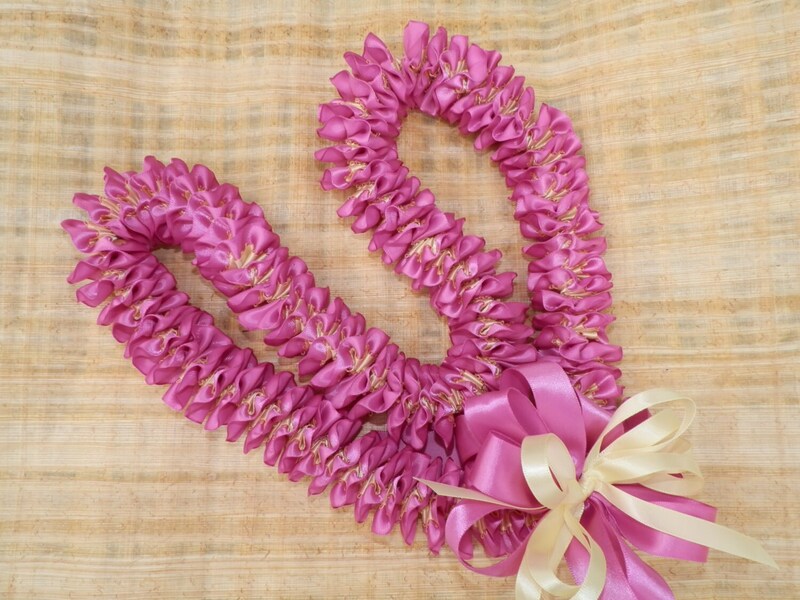 Lei is created with your choice of two colors. Specify your main color which will be a 7/8" double faced satin ribbon. A secondary color is used for the feathered edge satin ribbon. When specifying your colors, mention your main color first and then your secondary color. Lei length is 40" - 44", we are able to make longer for additional charge...please ask questions. This is a great choice for graduations in school colors! These are custom made as ordered, please allow 1 - 2 weeks for custom creation. Please note: orders may take longer during graduation season (May - June). I will mail by USPS priority as soon as it is completed. Beautiful leis and fast shipping. The ribbons was made exactly what I requested. Thank you so much! 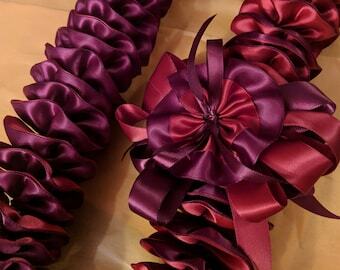 Beautiful leis! Fast delivery. The ribbons was made exactly what I requested. Thank you so much!